Tyne Bank Brewery: Tyne Bank kegs at The Ware Rooms. Tyne Bank kegs at The Ware Rooms. You can now enjoy our kegged beers at The Ware Rooms, the stylish city centre bar which is part of Euro Hostel on Carliol Square. 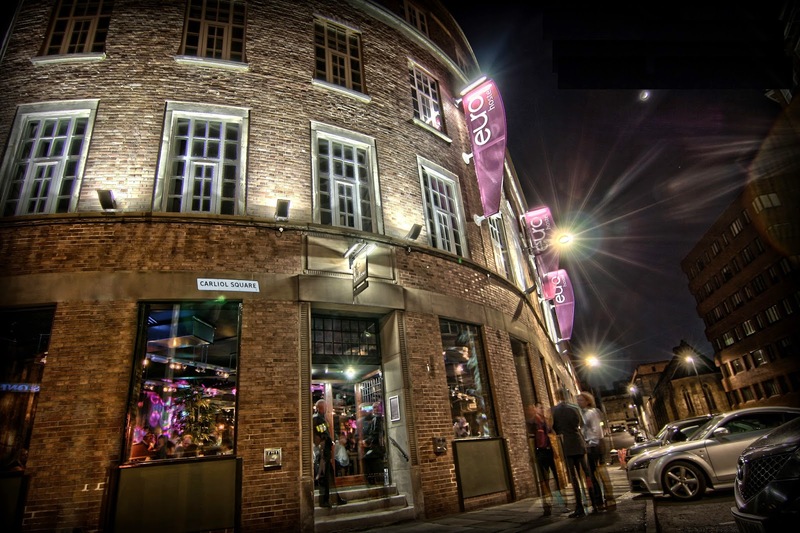 We are really excited to have a venue in the heart of Newcastle where our keg beers are permanently available, especially in a bar which sees such a wide variety of customers from across the world. The eco-friendly one way kegs we use. Pacifica our 4% well hopped citrussy pale ale is currently available, alongside some limited edition unfiltered kegs of Dark Brown Ale at 4.2%. Popular American pale ale Silver Dollar will soon become a permanent fixture when the next batch is ready in keg, and the plan is to feature a range of our occasional and monthly special beers on the second line offering variety for those who enjoy their beers in keg. The Ware Rooms also have a range of our bottled beers, so if the draught options aren't to your taste you can find something from Tyne Bank that will hit the spot. Next time you're in Newcastle for a beer make sure you check out The Ware Rooms, its only a minute or so off Pilgrim Street and very close to many other great ale pubs in the city centre.